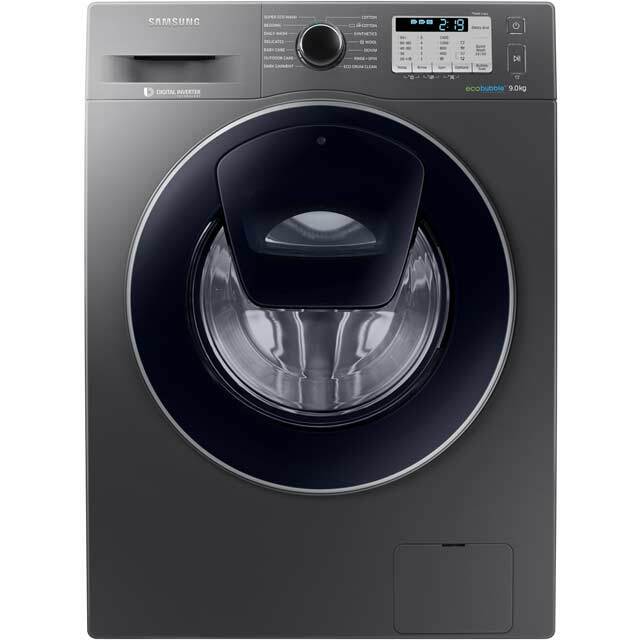 Leave laundry spotless after every cycle with this Samsung washing machine. It has an 8kg drum which makes it great for any medium-sized household. It has a special Bubble Soak option which can be used with your favourite programmes. 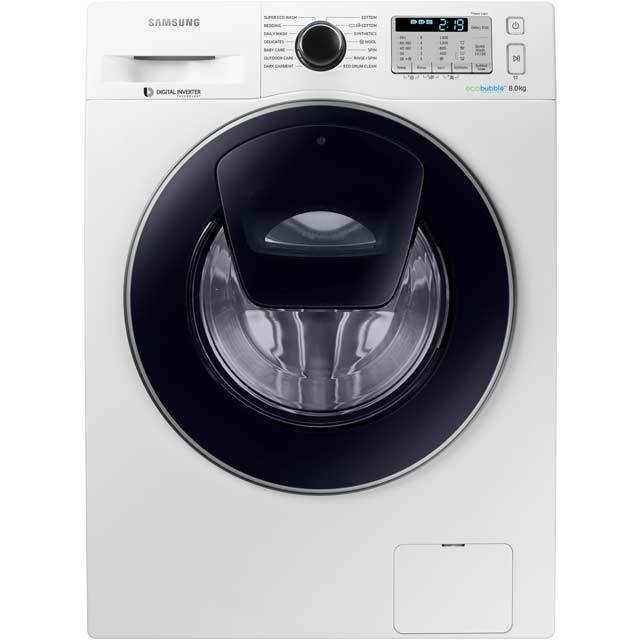 Once selected, it bathes your clothes in soapy bubbles, helping to loosen tough stains for a really thorough wash. 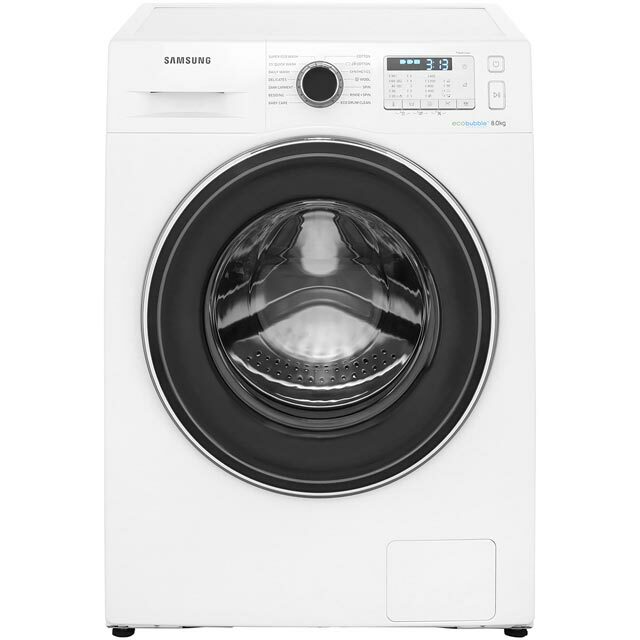 The speedy 15 minute quick wash is ideal when you need to clean clothes in a hurry. It has an efficient Eco Drum Clean programme too, so you can keep the drum lovely and clean, smelling great and free from bacteria. Very good washing machine. Reasonably quiet and lots of different options to choose. Clothes come out almost dry on the top speed spin. Very pleased with my purchase. 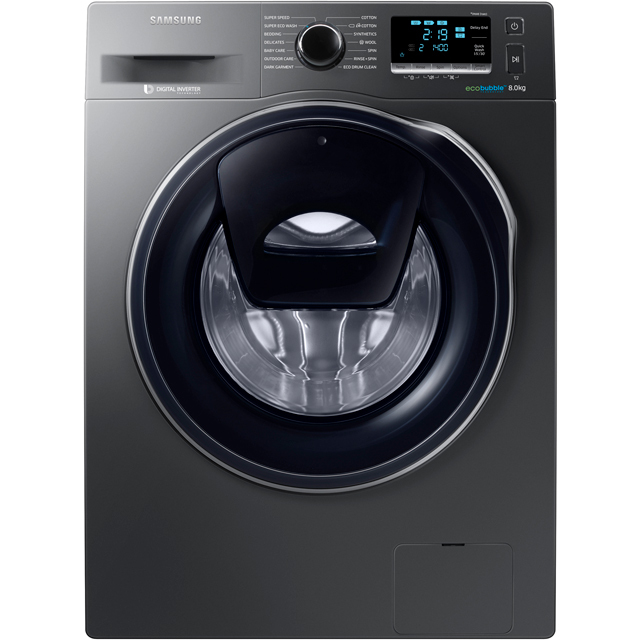 Excellent washing machine at a very good price. Quite and several different modes for a busy household. Would strongly recommend. We bought this as a direct replacement of our previous Samsung, which gave up the ghost after seven years excellent service. It's not quite identical to the previous model but the changes are upgrades making the machine more efficient and smarter with use of water. The only downside is that some of the programs are quite lengthy, over three hours, but washing comes out clean, so who cares. Very happy with the service received and the washing machine. 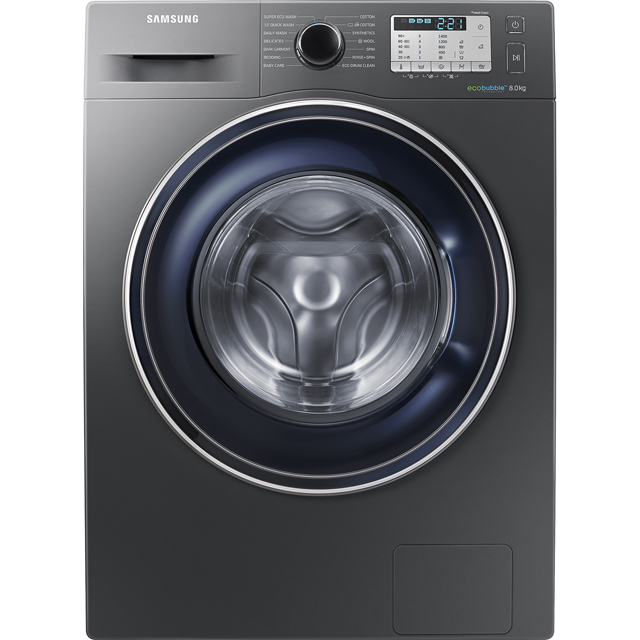 It has many more features than our old one, washes well and looks smart too . Did some shopping around and found AO to have the lowest price on the item. Delivery was prompt and well communicated. Delivery persons were pleasant and friendly. Product exactly as described, easy to install with all tools required provided. Overall, great service.